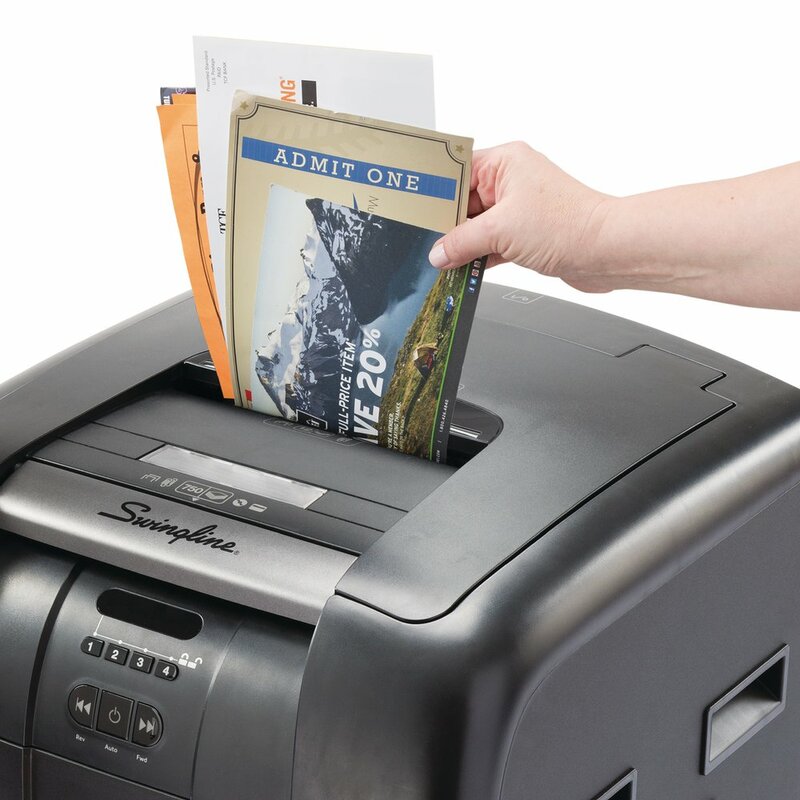 Swingline is America's #1 Selling Brand in Auto Feed Shredders because Stack-and-Shred™ shreds all on its own; just stack, shut and you're done. 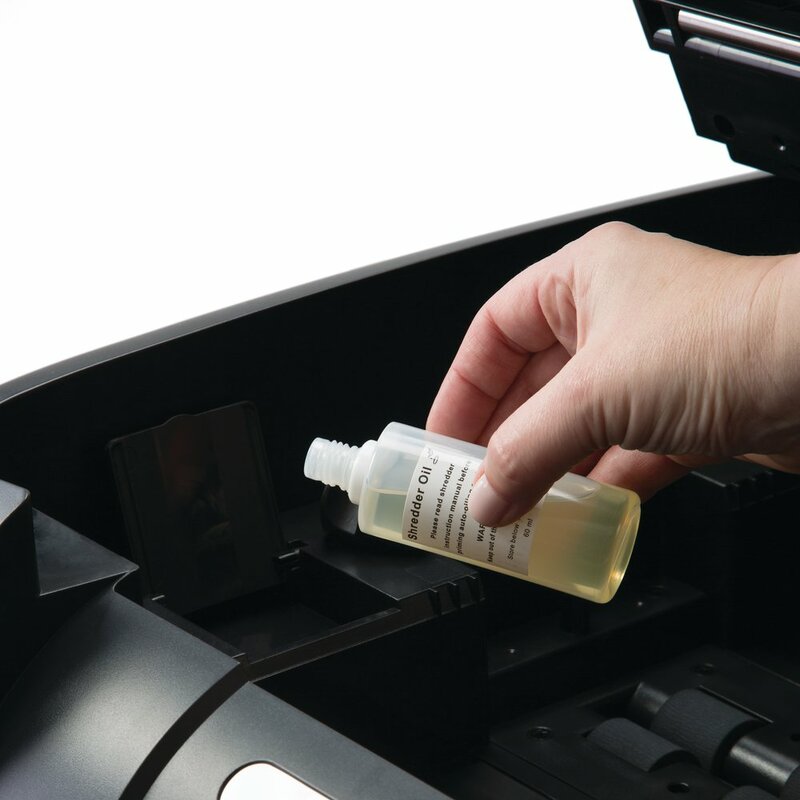 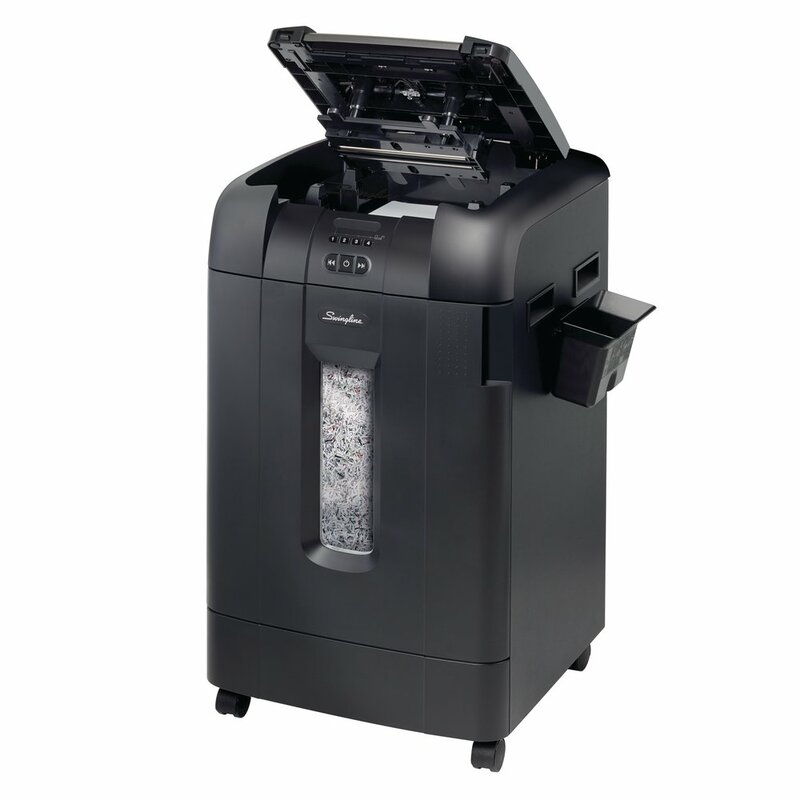 Shreds 750 sheets automatically (up to legal size) and includes Intelligent Auto+® Jam Clearance/Interactive Jam Clearance technology to save time and increase productivity. 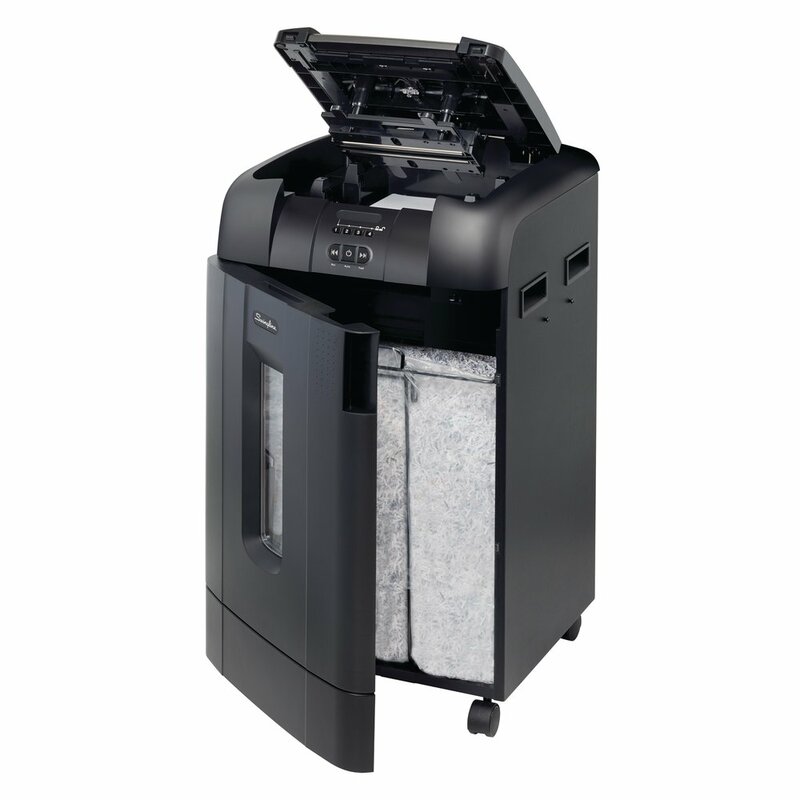 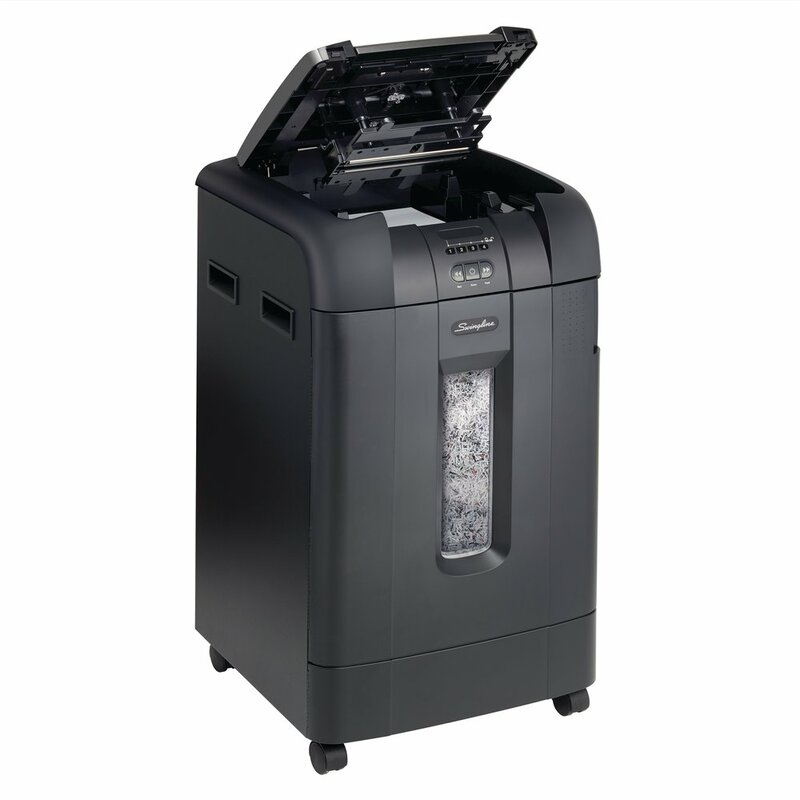 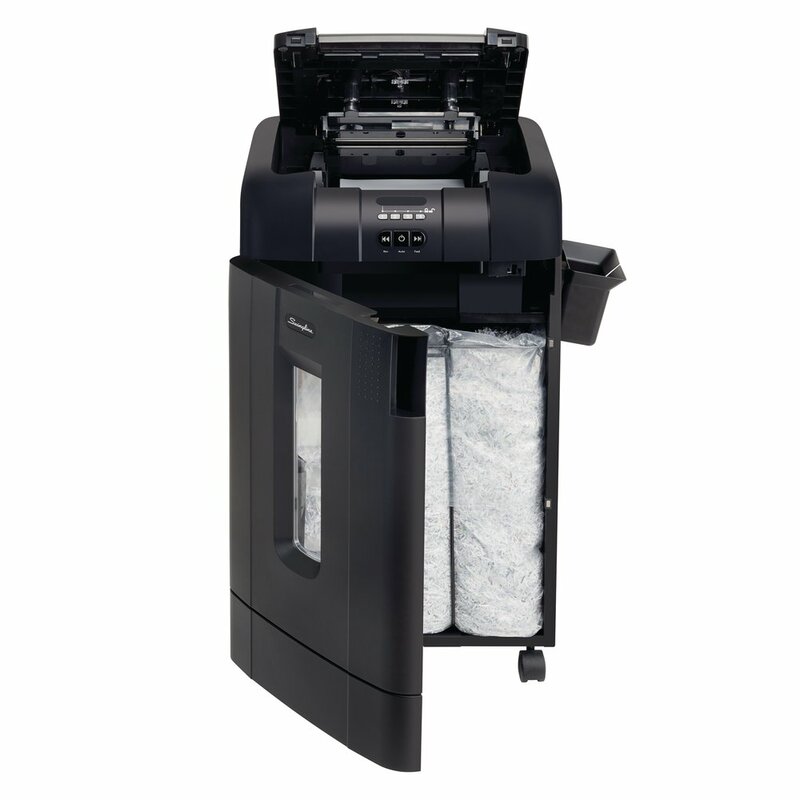 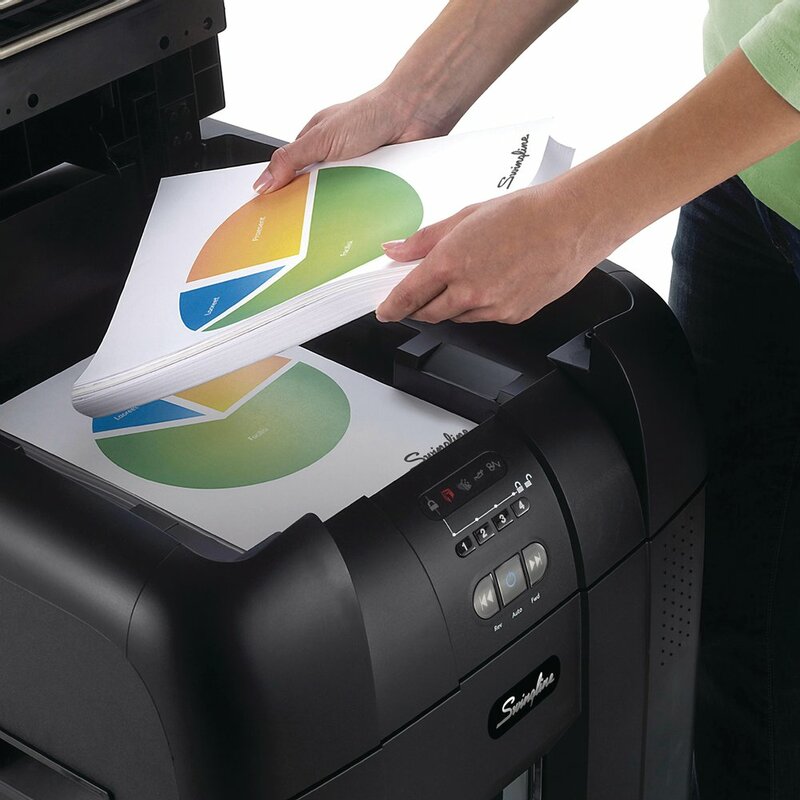 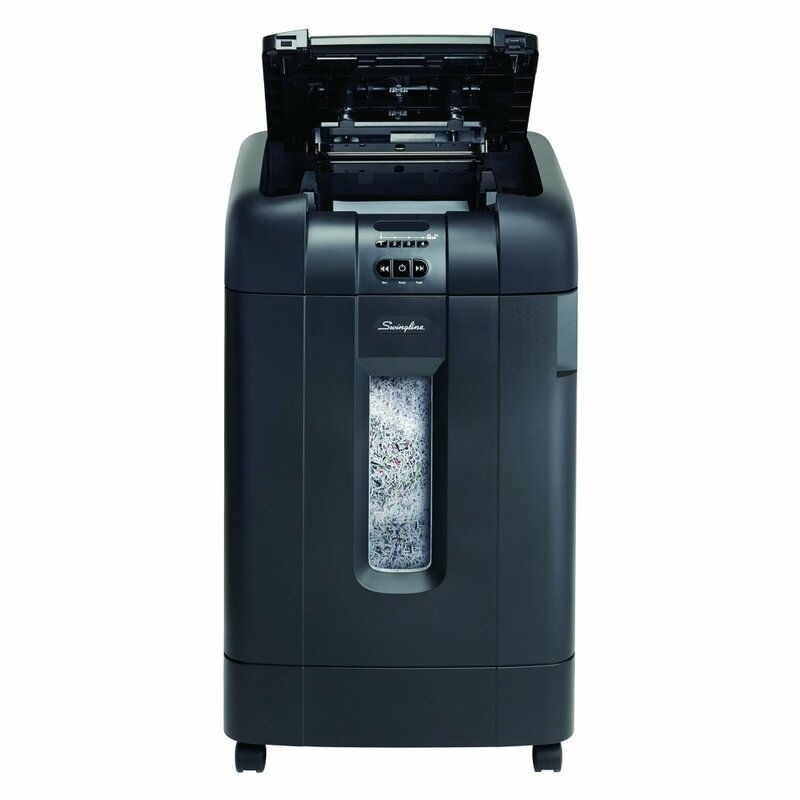 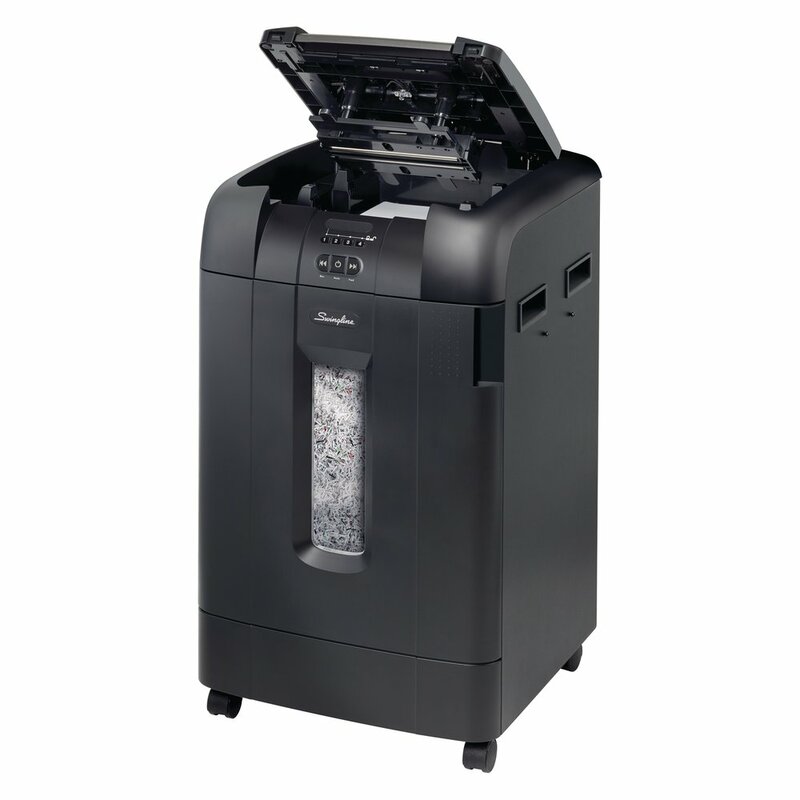 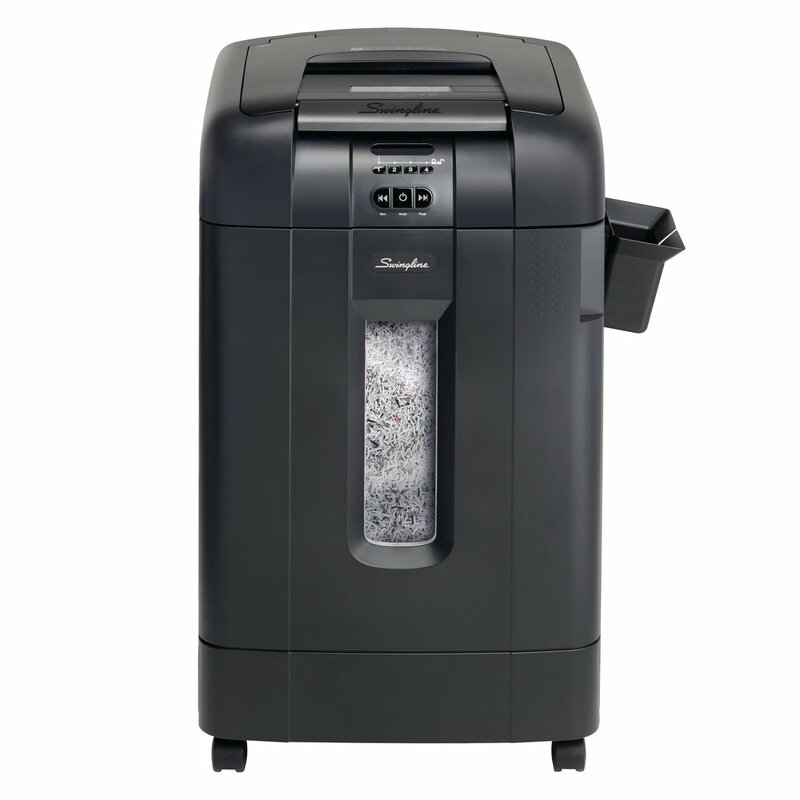 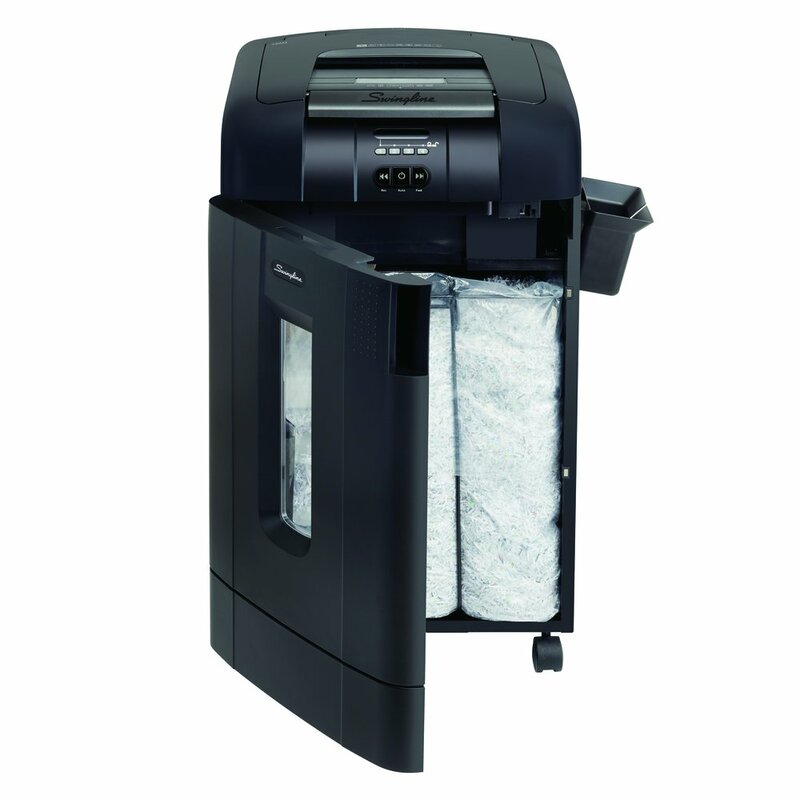 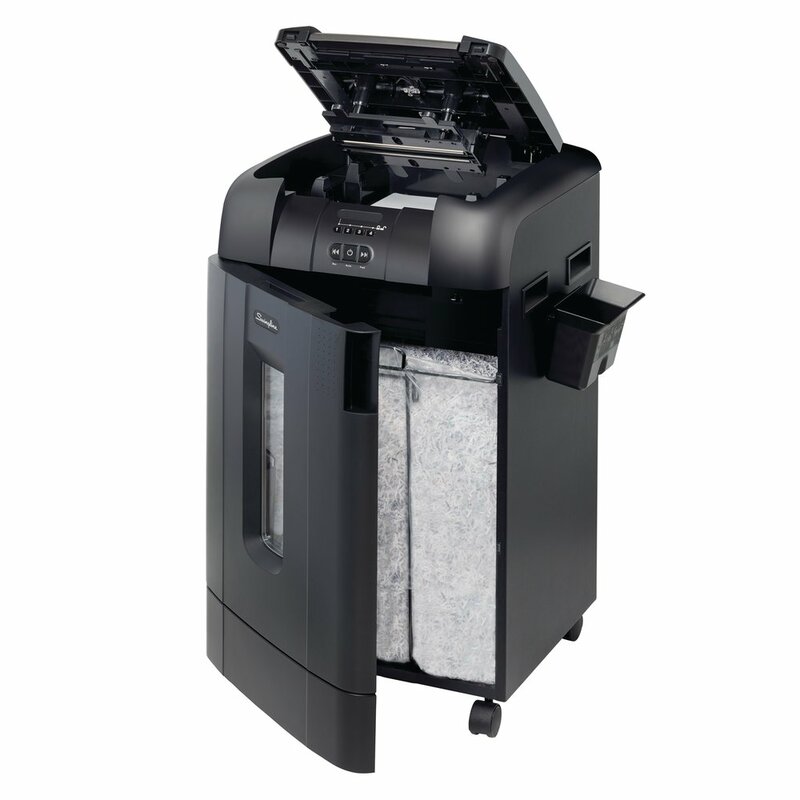 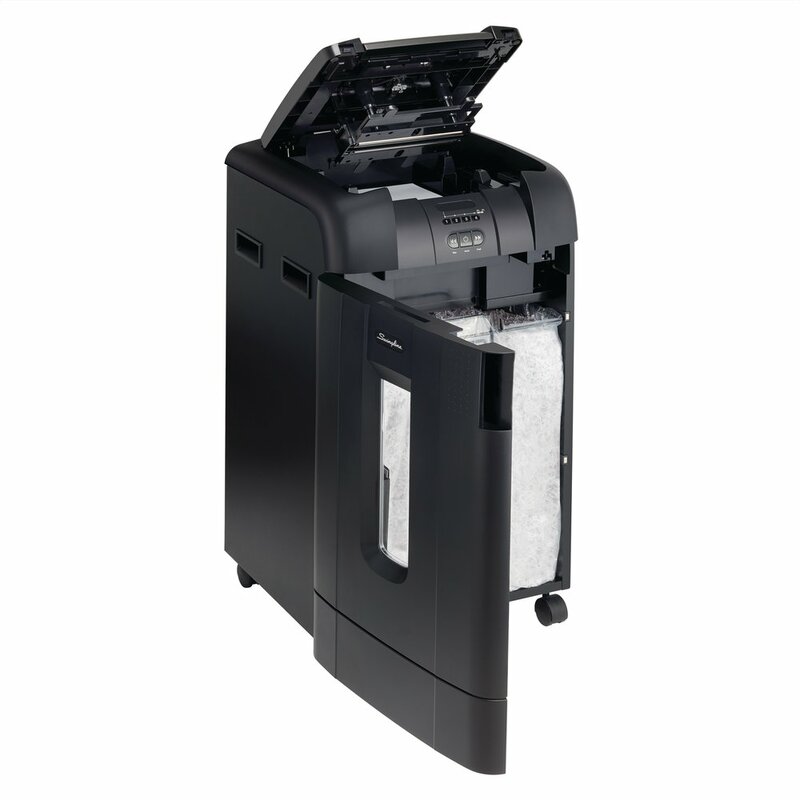 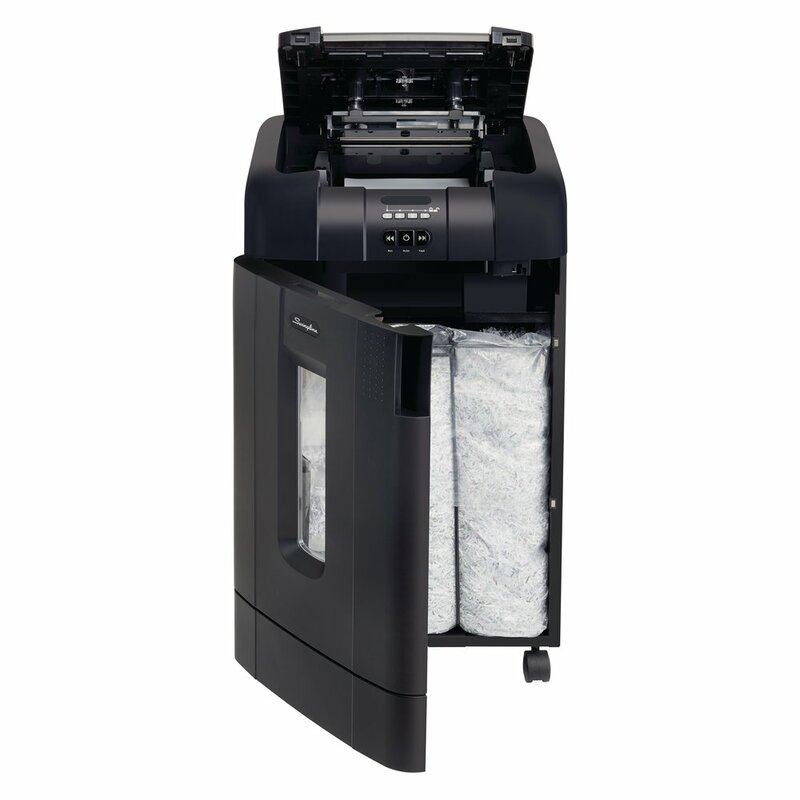 Large capacity manual feed option, micro-cut shred style and the lockable paper chamber make the 750M a great choice for large offices. 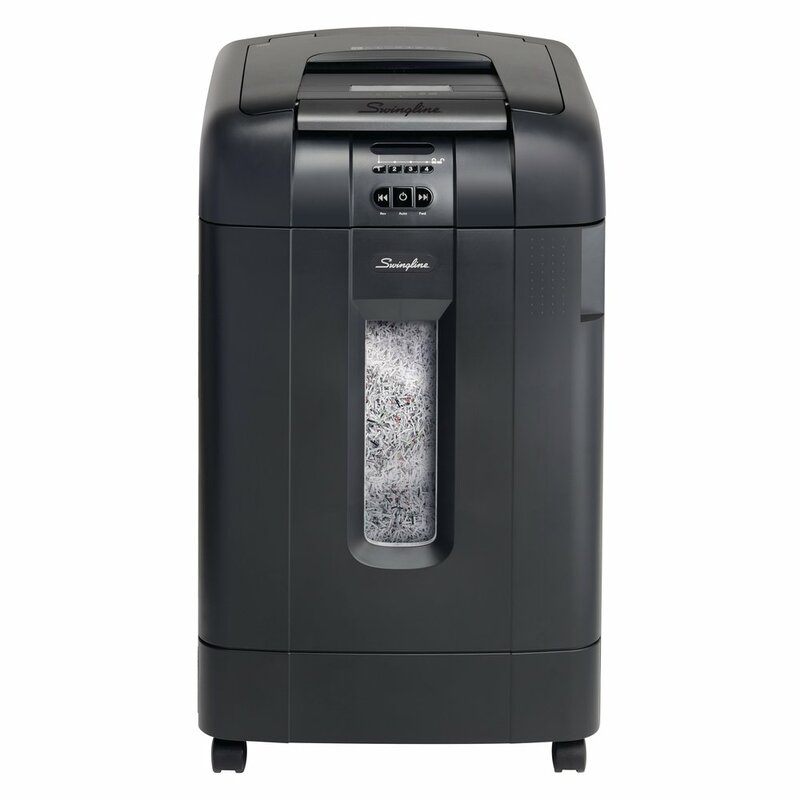 Auto shreds documents, paper clips, staples. 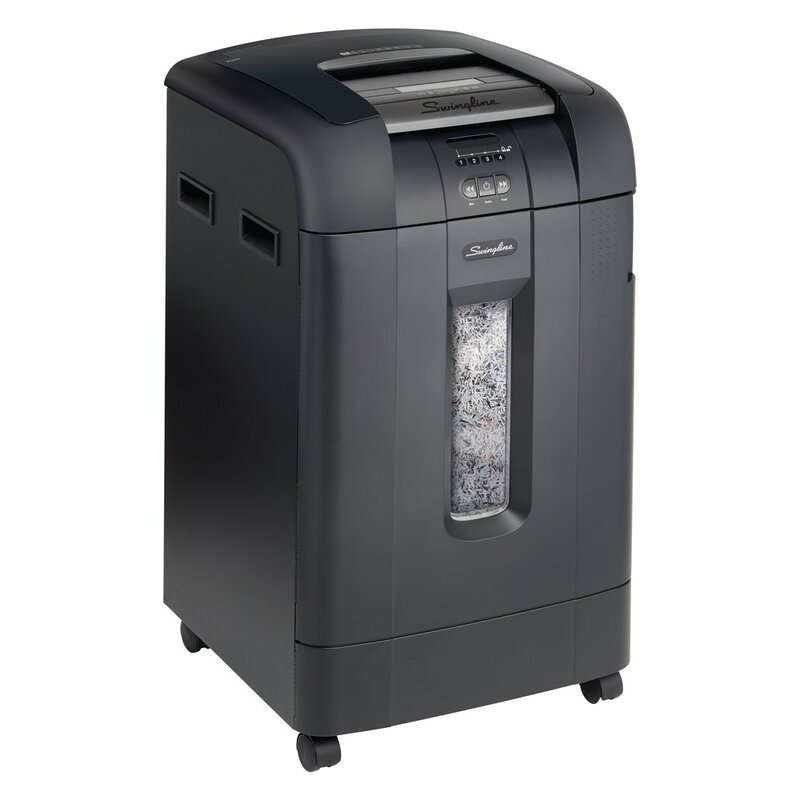 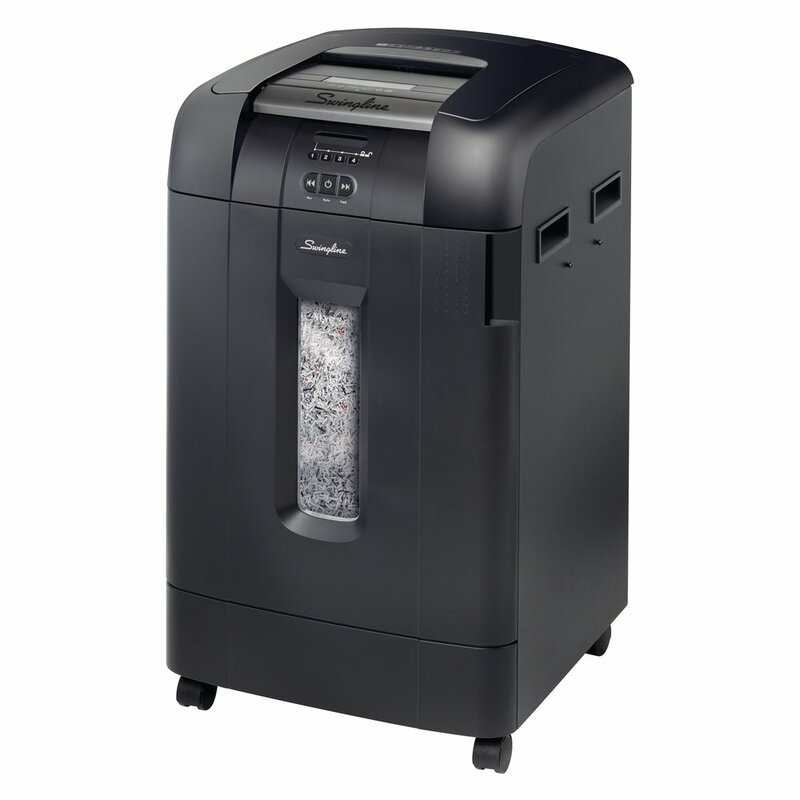 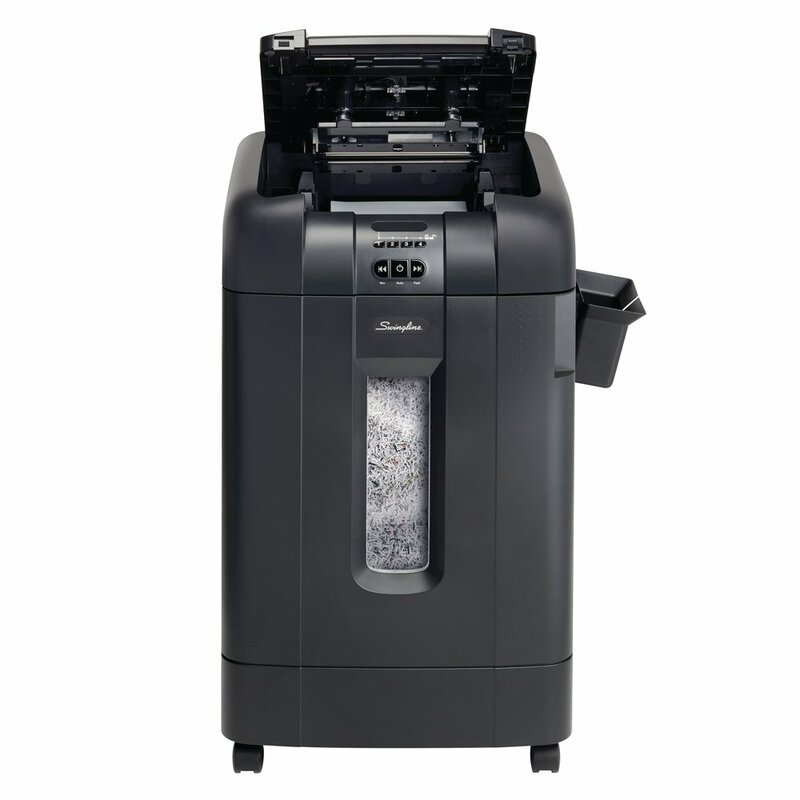 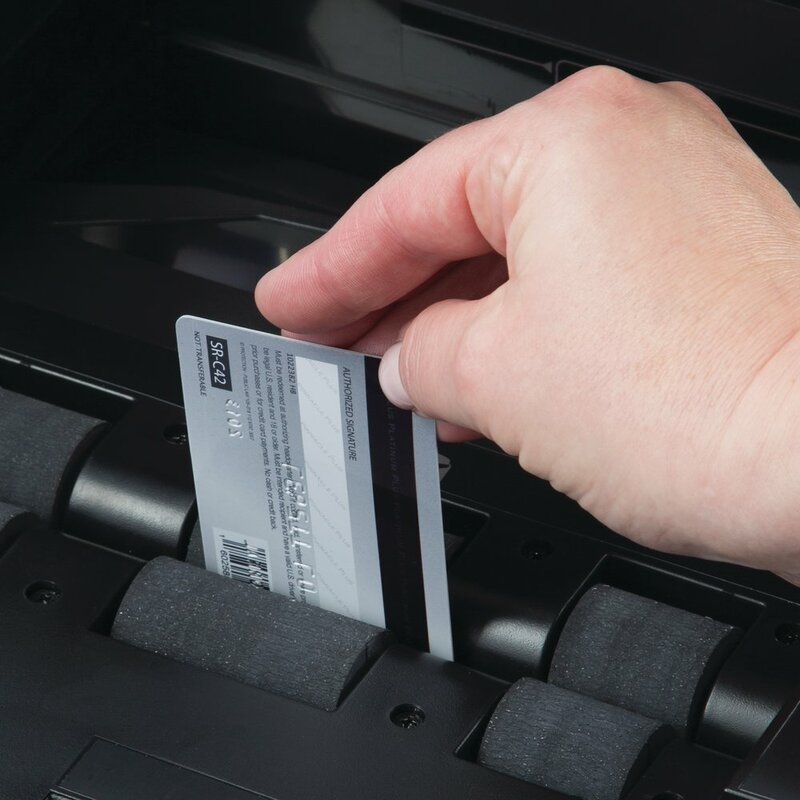 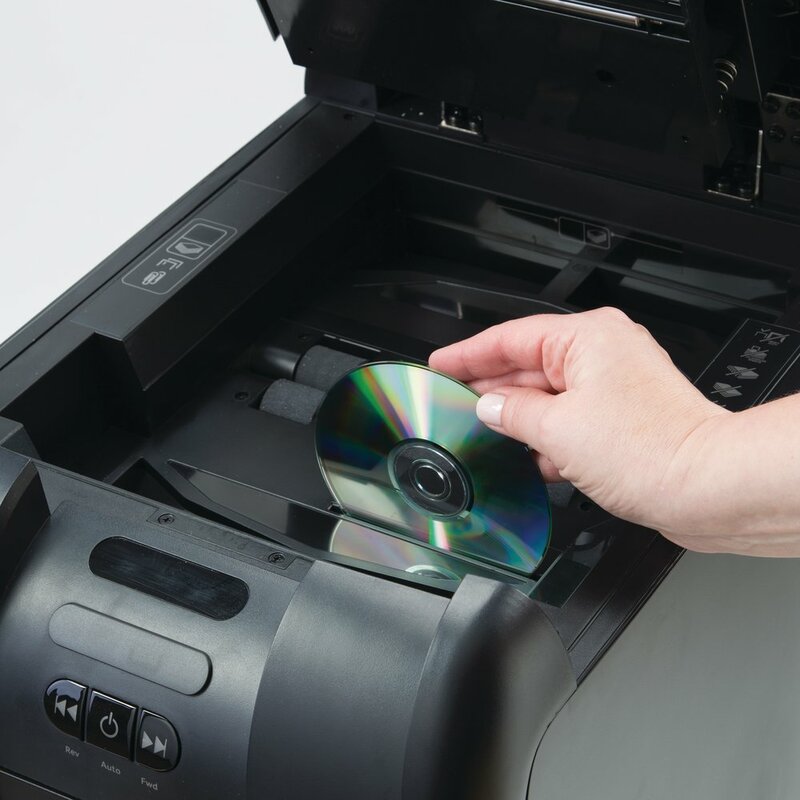 Bypass options available to shred DVDs, CDs, and credit cards.